I’m still cooking my way through Karina Inkster’s “Vegan Vitality – Your Complete Guide to an Active, Healthy, Plant-Based Lifestyle”. This recipe was quick and easy with just 3 simple directions- just the way I like all my recipes :). The dipping sauce is great but if it’s not your taste, feel free to use another sauce. 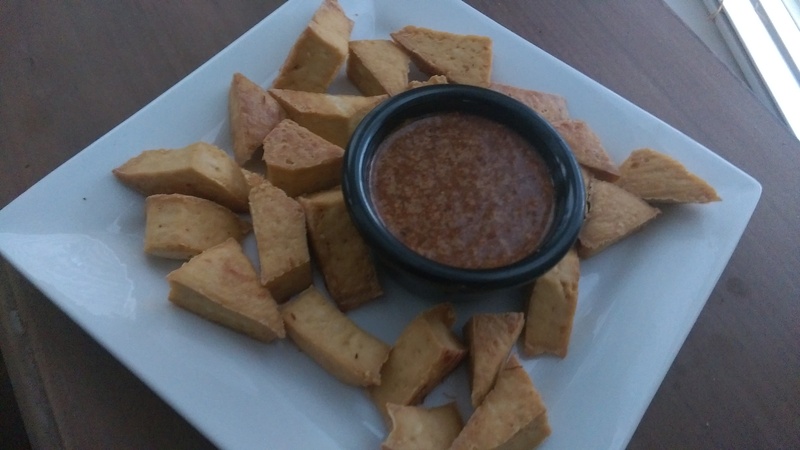 You know tofu is a blank slate, so you can jazz it up with whatever flavors you like.